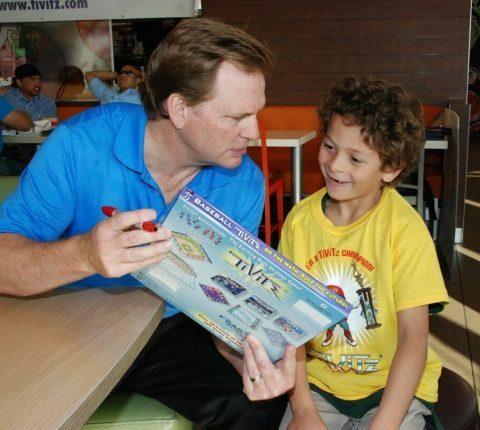 Like many successful business people, celebrities and philanthropists, TiViTz inventor and entrepreneur Steve Scully has a teacher (or teachers) to thank for his success. And for his mission to boost kids’ love and proficiency of math. Scully’s acumen at math and his entrepreneurial spirit inspired him to start his own business at age 13, painting house numbers on curbs and making $5 per hour when minimum wage was $1.60. He continued his “painting career” while attending high school and later college at Louisiana State University painting apartments and new houses. After college, the young entrepreneur began developing drug awareness materials for students, which were distributed throughout the United States by local schools and law enforcement departments. 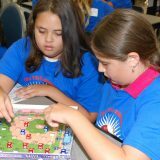 It was this exposure to the public school system, as well as national headlines about the declining proficiency of American students, particularly in math and science, that led Scully to develop a game to make learning math fun. 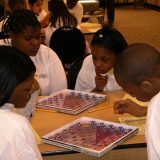 Scully took Bell’s wisdom to heart when creating TiViTz, a math and strategy game loosely based on checkers, in which players jump their tivits, or playing pieces, diagonally across the board to create and solve math equations with the highest possible solution in order to win the game. Imaginative themes like Outdoor Adventure, Baseball Park, Mars Landing and Magic Sky Island (and now premium versions like Pirate Hideout, Medieval Castle, Atlantida Lost and Soccer Field), immerse kids in the worlds they already know and love. Simply put, “You have to get kids’ attention to get them to want to listen and to engage,” says Scully. Although the backing of well-known figures has helped spread the word about TiViTz, celebrity endorsements mean nothing to kids without a great product. “It’s the healthy competition—bragging rights and simple prizes— that motivates kids the most,” believes Scully. Top players earn the opportunity to participate in tournaments at the local, regional and national level, many at exciting venues such as Major League Baseball stadiums and Kennedy Space Center Visitor Complex. 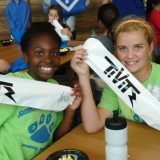 Cool prizes, including trophies, gift cards and opportunities to travel to tournaments and meet with sports stars and astronauts, reinforce students’ newfound self-esteem and sense of sportsmanship, not to mention the math and critical thinking skills that are sharpened by the game. Now, the TiViTz online games introduce a whole new motivator— Leader Boards. 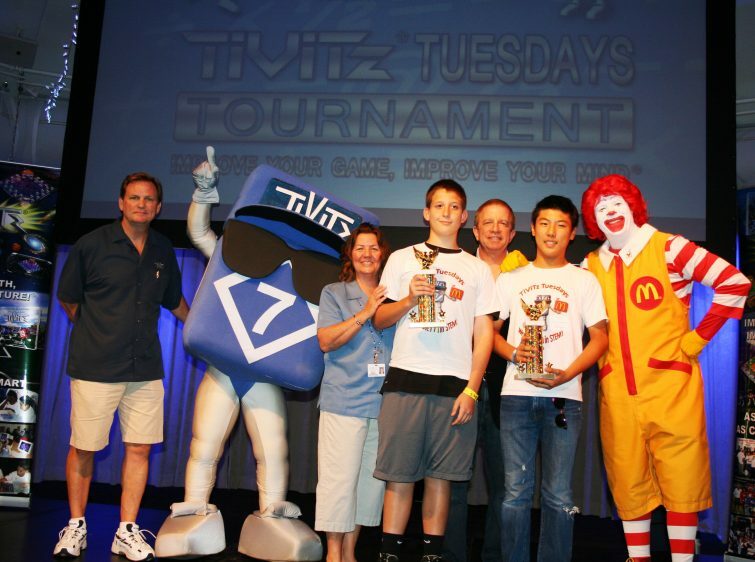 Students who play TiViTz online can track their progress and see how they measure up with other players in their skill level throughout the country, and earn prizes as well as coveted seats in regional and national live action tournaments. 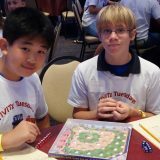 While kids may think they’re simply playing a fun and challenging board game or online game, Scully – along with Cal Ripken, Jr., Arnold Schwarzenegger, Rick Searfoss and Jean-Michel Cousteau – knows that TiViTz is helping students gain the confidence to pursue careers in math and science.